With a history spanning back more than 80 years, Esquire magazine is one of the most recognizable brands in the publishing industry. In fact, the men’s lifestyle magazine still boasts a circulation of 700,000 subscribers — that’s a lot for this day and age. But as the world becomes more focused on the web and mobile, Esquire is making the pivot to become a more digital brand. 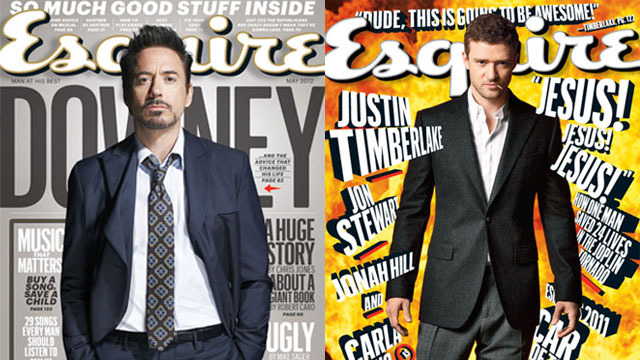 Esquire has a luxury smaller publishers using social media don’t have — instant brand recognition. People know what Esquire is. If you were asked to name a men’s magazine, chances are it’s going to be one of the first three names you say. Because Esquire is a known brand, it can afford to do things a little differently. Here are some of Facebook Timeline strategies the brand uses to differentiate itself from the competition. Examining Esquire’s approach can inform your own social media strategies whether you’re a nationally known staple of the news stands or a scrappy upstart. Photos are a staple of most brands’ Facebook Timelines — as they should be. Posts that include photos and videos lead to more engagement than non-visual posts. However, if you take a quick scan of Esquire’s Facebook Timeline, you might be surprised to see fewer photos than expected. Despite the number of high-quality photos it generates from photo shoots, the brand naturally exudes an authoritative attitude that doesn’t always need a visual element. Typically, many brands on Facebook ask open-ended questions to engage and inform their target audiences. Esquire bucks this trend by simply making a variety of bold statements. Because of its brand positioning, readers often feel compelled to click the links on these posts to read the full articles on Esquire.com. Esquire does a popular, themed post series revolving around the idea of “unwritten man rules.” Much like the “Rules of Wedding Crashing” from the movie Wedding Crashers, Esquire offers a set of rules for men’s lives. These rules are numbered and are very often just a single sentence. They’re not accompanied by photos or videos, yet these updates tend to be some of the most engaged posts on the Esquire Page. Even though these rules don’t link to related online articles, they still tend to add a lot of brand value to the audience. They lead to engagement because they’re conversation starters. Sometimes they’re controversial, sometimes they’re just funny. Either way, they get people talking — and that means people are coming back to the page. Operating a successful digital property is no easy feat. Given the competition, traffic acquisition is tough. When a magazine like Esquire needs to transition its business model from offline subscriptions to online advertising, that requires a lot of online traffic. 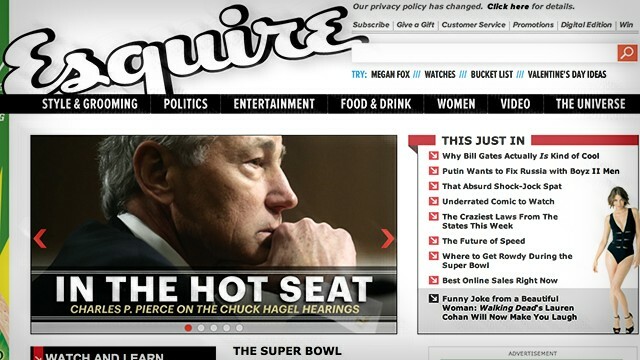 Many of Esquire’s posts link back to its online edition. Ultimately, Esquire is using Facebook as a lead generation tool for its content, and in turn for subscriptions. It’s fair to assume that with Esquire’s engagement-driving strategies and impressive volume of fans, Facebook is responsible for driving a lot of traffic to the online property. Success on Facebook means different things for different companies. Esquire has done a great job focusing on its strengths and giving its audience exactly what it wants in order to improve its bottom line. Don’t be afraid to follow Esquires’s lead and buck the trends on Facebook if that’s what your target audience demands. Know any other great brands killing it on Facebook? Let us know in the comments.